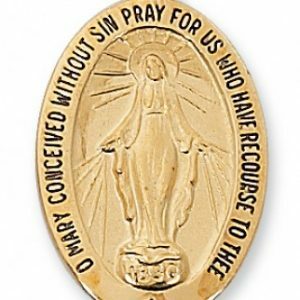 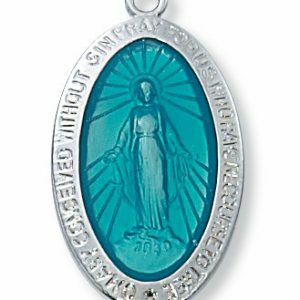 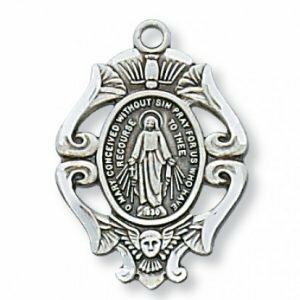 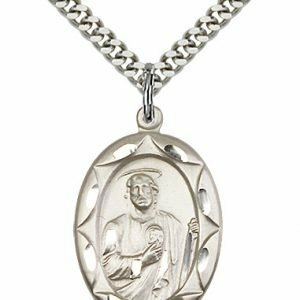 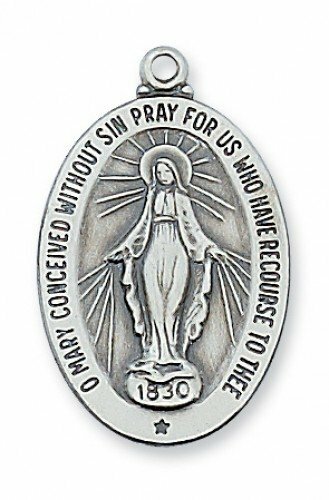 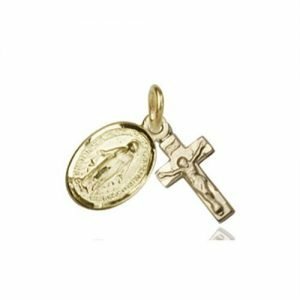 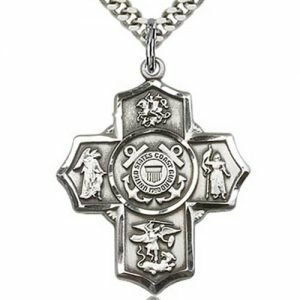 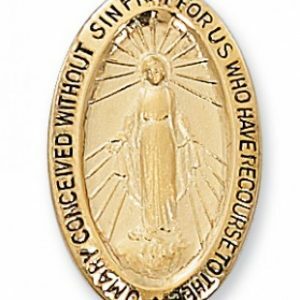 Beautiful sterling silver miraculous medal. 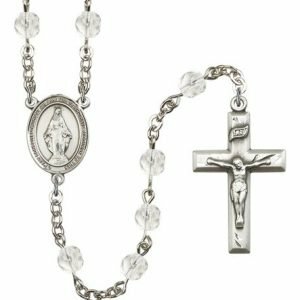 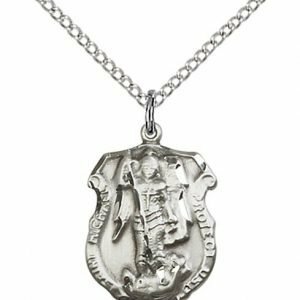 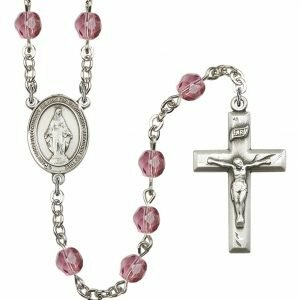 Measures 1″ x 5/8″ and comes with 20″ rhodium plated chain. 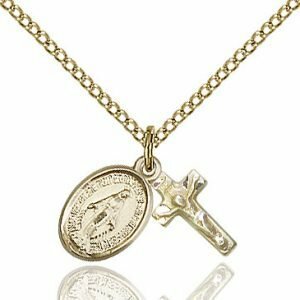 Deluxe gift box included.